Find the best foreclosure homes listings for sale — bank-owned, government (Fannie Mae, Freddie Mac, HUD, etc.) and others — in and near the Gray Summit, MO area at Foreclosure.com. Get information on foreclosure homes for rent, how to buy foreclosures in Gray Summit, MO and much more. 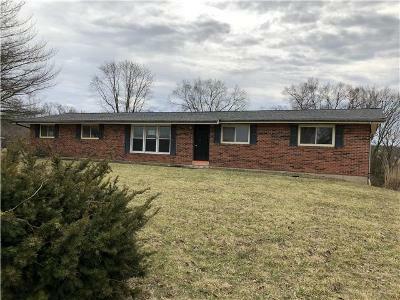 Save thousands at closing with home foreclosure listings in Gray Summit, MO — up to 75% off market value! Gray Summit is an unincorporated community and census-designated place (CDP) in Franklin County, Missouri, United States. The population was 2,701 at the 2010 census. Also called "Gray's Summit", it was founded by Daniel Gray of New York, who built a hotel here in 1845. This community was the highest point on the Missouri Pacific Railroad between St. Louis and Jefferson City, Missouri; a railroad tunnel runs underneath the community. It is located on Interstate 44 and is home to Purina Farms, the Shaw Nature Reserve and Point Labaddie Brewery. Gray Summit is located in northeastern Franklin County at 38°29′42″N 90°48′55″W (38.494902, -90.815314). Via Interstate 44 it is 38 miles (61 km) southwest of St. Louis and 30 miles (48 km) northeast of Sullivan. Missouri Route 100 leads northwest 11 miles (18 km) to Washington from the west end of Gray Summit. Many listings on Foreclosure.com are not found anywhere else. Save thousands on incredible foreclosure deals in Gray Summit, MO. Save up to 62% with deals in Gray Summit, MO.